Welcome to my site. So glad you are here! I work as an international Sonic Alchemist. I fuse being a professional musician with elements of wellness by integrating VIBRATION of the voice with FREQUENCIES from specific overtone emitting instruments. 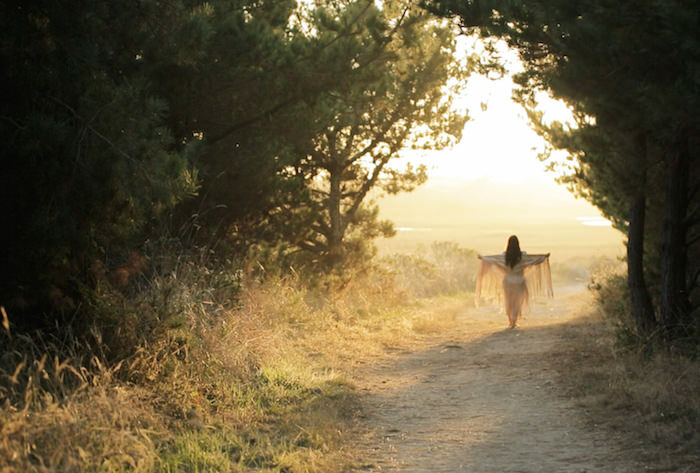 With my unique methodology of Sound Meditation, I aim to facilitate and promote one’s own harmonic well-being and expansion of consciousness. Like a musical instrument, we can go “out of tune”. Disharmony becomes illness. My work focuses on mindfulness, assisting you to help eliminate discord with the use of directed sound – applied on and around the body. All frequencies and tones are made with live acoustic instruments created by using my hands and voice, there is nothing pre-recorded, electronic or plugged in. I work with clients across the globe – from the worlds of medicine, wellness, politics, law, entertainment, fashion, sports, real estate, finance, literary, hospitality and homemakers. I also assist at the bedside in end-of-life transitions. With the benefit of my life history as a performing artist having withstood debilitating injuries, I have a deep understanding and knowledge of structural alignment and energy meridians in the body. I follow the roadmap of the body to assist those seeking wellness. The foundation of Michelle Pirret’s work is rooted in over a decade as a professional vocalist in New York City having been heard in jazz clubs, on stages, radio and television. Although different from “music”, she believes everyone – from infants to the elderly – can benefit from receiving Sound Meditation. The power of sound and frequency work is transformational. 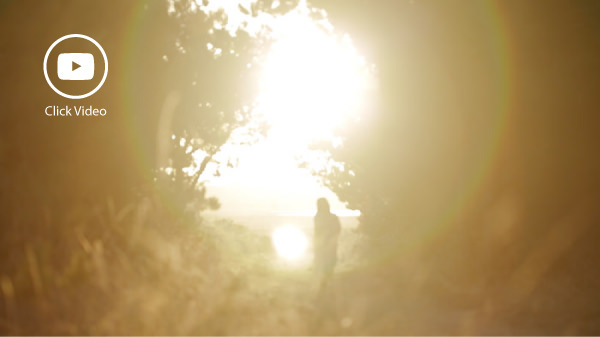 As a Sound Practitioner, her “Sound Journeys” are experienced in private, couple, and group sessions in which she applies frequencies from overtone emitting instruments such as Alchemy crystal singing bowls, symphonic gongs, and a variety of indigenous hand percussion sonically replicating the four elements found in nature. 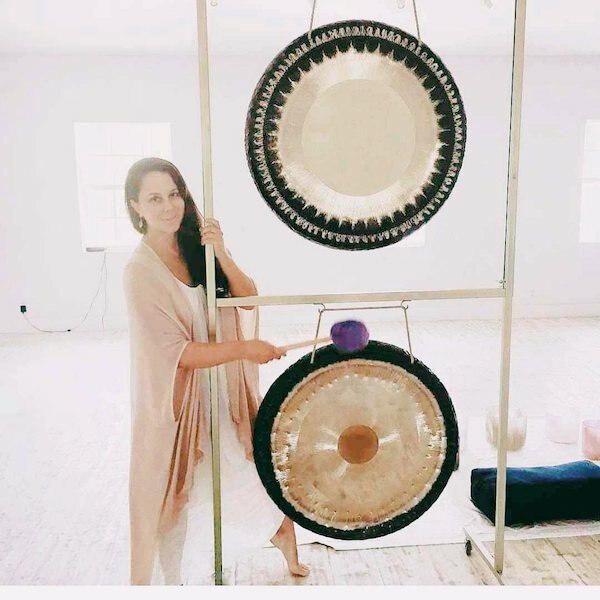 With certification in Integrative Thanatology, her work with Sound Meditation is offered therapeutically at the bedside to those that are facing end-of-life transition or at the threshold of death. As a Music Artist, she offers solo vocal performances for festivals, benefits, symposiums, corporate wellness events – and the like. 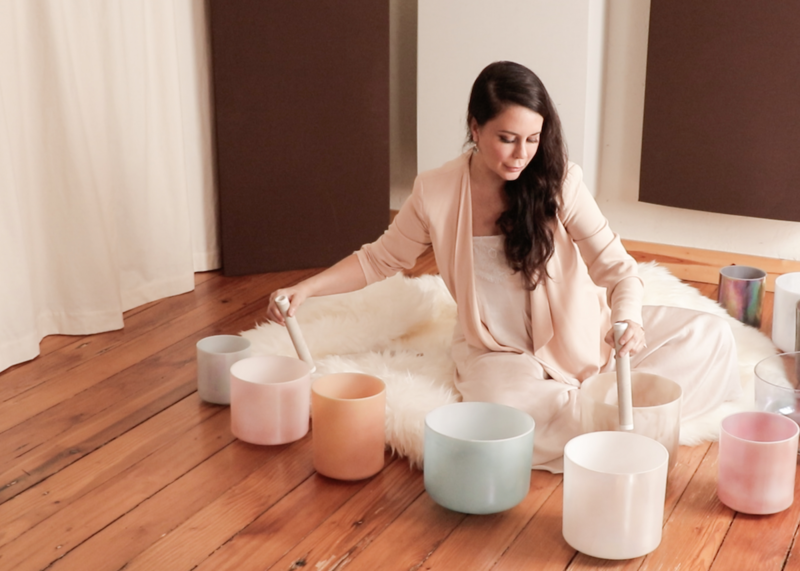 Michelle has cultivated specific repertoire from The Great American Songbook, as well as jazz and current pop songs while accompanying herself instrumentally on Alchemy crystal singing bowls. Whether it is the celebration of love or the passing of a life, she wishes to honor these occasions in a secular – yet sacred way. The benefits of Sound Meditation and Vibroacoustics have been studied by researchers and physicians worldwide, including at the National Institute of Health. Amongst numerous attributes are: an alternative form of pain relief; deep relaxation and improved sleep; reduction in levels of stress, anxiety and depression; enhanced concentration and increased work productivity; stabilization of breath in respiratory dysfunction and asthmatic conditions; and an expansion of consciousness and self-awareness. 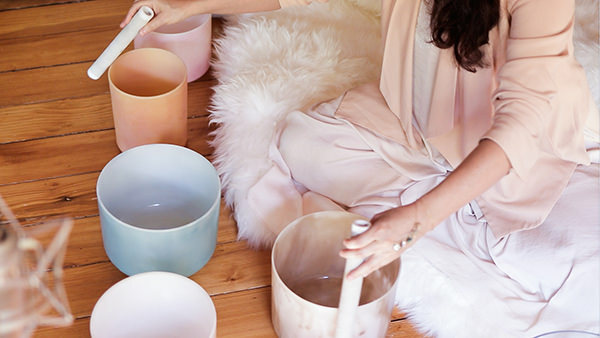 Michelle Pirret delivers a soothing tonal palette to those that are receiving sonic offerings. 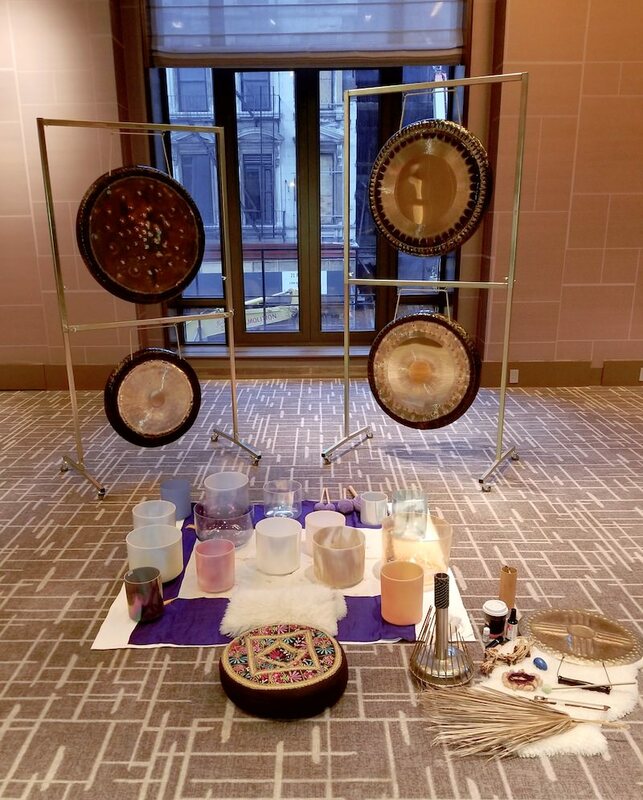 In solo performance her vocal accompaniment are Alchemy Crystal Singing bowls created by Crystal Tones for whom she is a brand Ambassador. The sounds produced by her ensemble of over three dozen crystal instruments is likened to hearing an angelic choir – with each individual bowl having a unique voice with variations in tones and pitch.